Our clip-in extension provide volume, length and/or a flash of colour without the commitment, transforming tresses in an instant while preventing any damage to the hair. Easy to apply, incredibly lightweight and extremely comfortable to wear, the clip-ins employ soft lock-tight clips, which lie flat to the head for ultimate discretion. The multi-layered hair weft comes as a single piece for simplicity and has also been designed to match the shape of the head giving fuller hair coverage and the most natural look. Boasting the same superior quality of Gold Class pre-bonded extensions, the clip-in hair piece has been gently coloured to reveal a lustre and health that wearers will love. Available in 15 seamlessly blended colours in 50cm length and weighs approximately 140g which is equivalent to a full head of extensions. 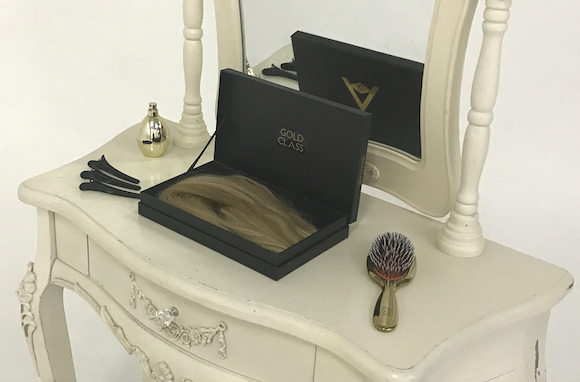 Delivered in a beautiful presentation box, the clip-ins come with a special Gold Class hair extensions brush, hair hanger, section clips and hair bag cover – all promoting the luxury and impeccable standard of Gold Class. Clip-ins are perfect for those wanting to try extensions, dress up their hair for special occasions such as a wedding, or simply to take a break from pre-bonded hair extensions as part of our Healthy Hair Days philosophy. Watch our full step by step tutorial to see how easy it is to apply the hair piece. 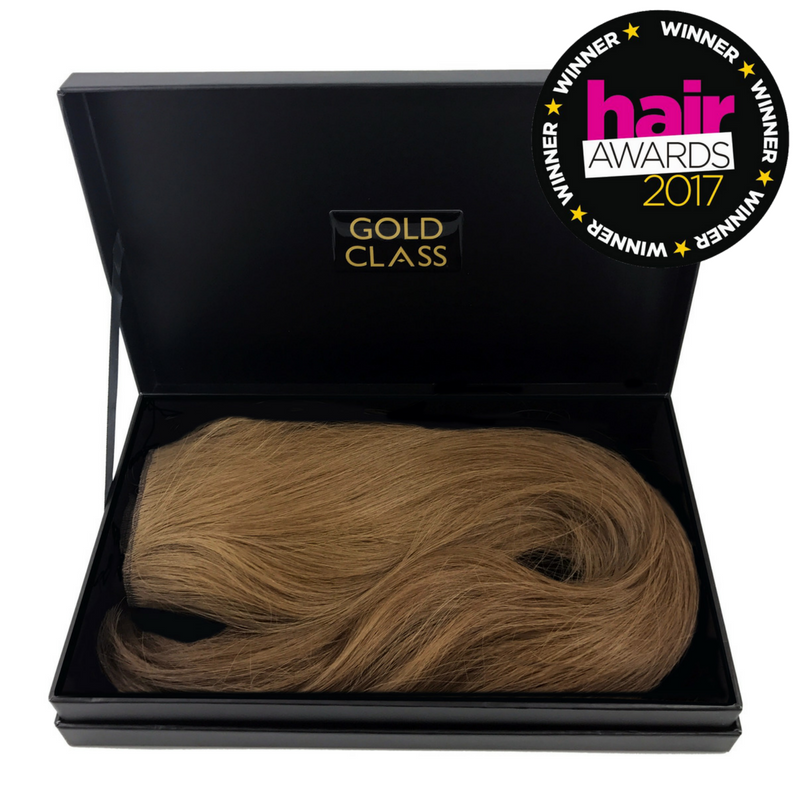 Our Clip In won the prestigious Hair Awards 2017 Best Human Hair Instant Extensions. Read the full story here. Order online at www.inanch.com/shop and in Gold Class elite salons nationwide with a complimentary fitting and styling service.